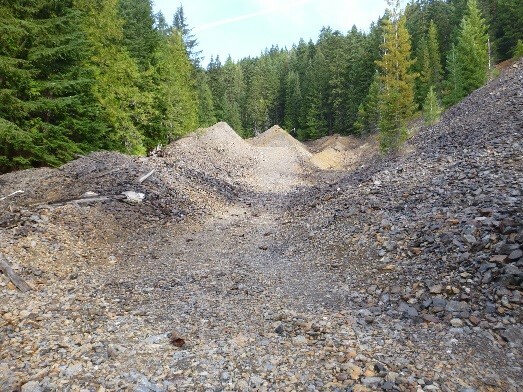 Within the Upper Basin of the Bunker Hill Mining and Metallurgical Complex Superfund Site, the Interstate-Callahan mine was one of the largest producers of ore in the Ninemile Creek watershed. Over its life, the mine produced ~1.4 million tons of ore containing ~2 million ounces of silver, 100 million pounds of lead, and 300 million pounds of zinc*. 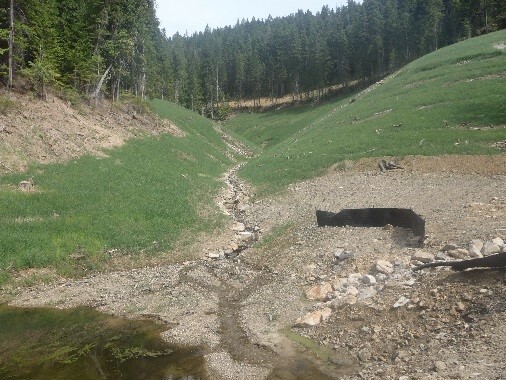 The Successor Coeur d’Alene Custodial and Work Trust tasked the Pioneer and North Wind team with waste removal and reclamation design for this site located near the headwaters of the East Fork of Ninemile (EFNM) Creek, a tributary to the South Fork of the Coeur d’Alene River. Removing 215,930 bank cubic yards of mine waste and impacted soils. Reconstructing 1,700 linear feet of EFNM Creek. Reconstructing 1,230 linear feet of tributary channels. Placing amended cover soils and revegetating 13.5 acres. Completing upgrades to 2.7 miles of Support Road to the site. Installing temporary and long-term best management practice (BMP) elements. Completing groundwater dewatering including treatment of turbid waters through a sand media filter water treatment system. Installing storm water run-on and runoff controls. The construction project was complete in November 2015. Given the flexibility built into the design and bid packages by the Pioneer team, Pioneer managed the construction to be approximately $109,373.00 under budget and on time. The construction documentation was complete in February 2016. * According to the Wallace District Mining Museum.